this is a blog called geometricsleep. : Damn you 20/20 vision! UMMM did you guys check out Givenchy? Seriously incredible. This is not everything I will post about it, obvz, but it's definitely the most urgent. 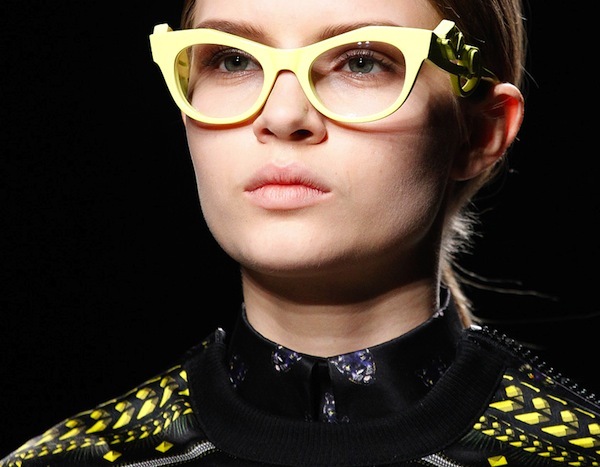 I can't decide if I want neon yellow cat-eye eyeglasses with panthers on the temples or velvet wrapped shades. Excuse me while I go sit too close to the TV. You think all this internet stuff is corroding my vision? 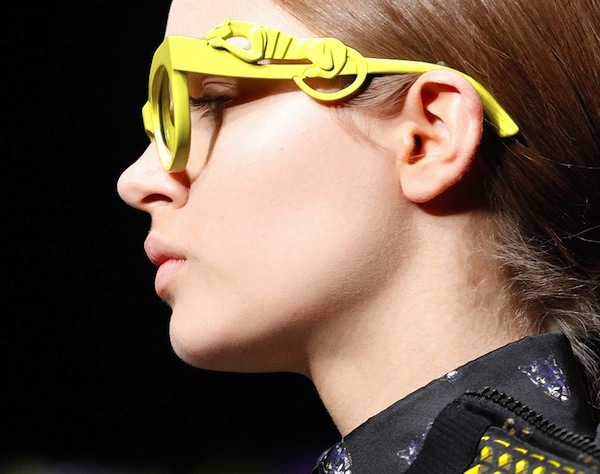 Although at the same time, how amazing would it be if these were your everyday glasses? Not even ADR is that crazy. this collection is beyond everything. it is so beautiful! YES those glasses! i actually didn't like the collection on the whole, but those glasses really stuck out to me. 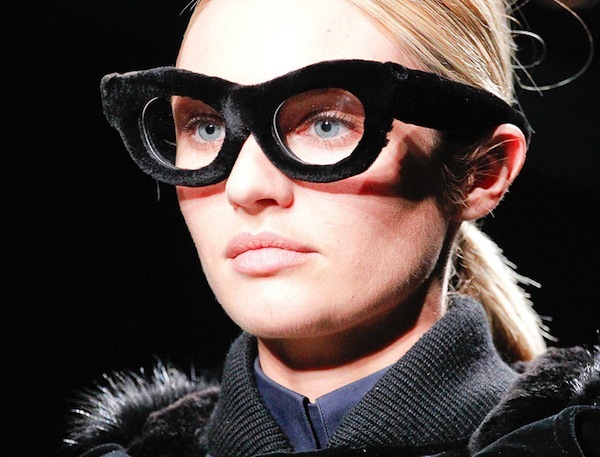 the panther glasses are exquisite, they look so snarky and transformative. i'm doing my paris/milan round-up for vogue.it and i was going to send this to you. so urgent. If I had panthers on my glasses, perhaps I'd wear them more often. On a side note: When my mom would catch me sitting to the TV, she's always tell me, "Your father isn't a glass maker," which makes little sense. Buy them and save them for the day when we all become eccentric old ladies who legitimately need to wear glasses...Really, it's the only practical thing to do. It's responsible planning for the future!